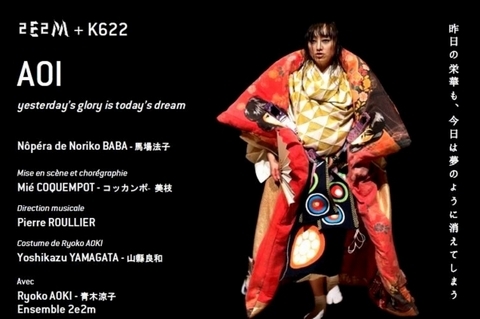 I had performances of Noriko Baba's opera on 22, 23 April with 2e2m in Paris. It was directed by Mié Coquempot. We performed a part of "Nopera AOI" in Art×Art×Art ＜Noh×Contemporary Music×Fashion＞ at Hakuju Hall in Tokyo last December. The costume will be designed by Yoshikazu Yamagata (writtenafterwards). This production will be on tour in France next autumn.